A & N Custom Fabrication is a Clark County approved fabricator specializing in TIG/MIG precision welding, metal fabrication and waterjet cutting. Serving a broad range of industries, we take pride in working closely with our customers in order to provide a high level of service and dependable, reliable solutions to their project needs.We combine our vast knowledge and expertise in the sheet metal fabrication industry with state of the art equipment and software to produce products quickly, efficiently, and at competitive prices. Call us today! (702) 795-4004. 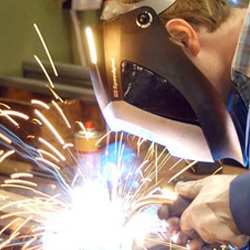 A & N Custom Fabrication has been the vendor of choice for many companies and individuals since 1977. We currently supply metal fabricated assemblies and services for customers throughout the Las Vegas valley including Las Vegas, North Las Vegas, Sunrise Mountain, Nellis, Green Valley, Henderson, Boulder City, and Summerlin. We serve the construction, manufacturing, hospitality, government, gaming and a variety of other industries for over 30 years! A & N Custom Fabrication offers value-added engineering services on all our projects. Our team uses AutoCAD to work with your design to develop production-friendly details that will ensure the best quality. We maintain state-of-the-art computer systems that aid us in performing resource planning and design functions efficiently. A broad range of prototyping services are also available including rapid prototyping and reverse engineering capabilities to create drawings from your parts or templates. 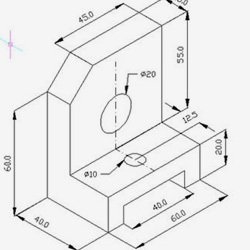 We can take your concept or idea and help you quickly and cost-effectively turn it into a durable, precision prototype.We'll maintain effective communication throughout the course of your project to develop an optimum design and then we will quickly manufacture your prototype to meet your exact specifications. Our custom metal fabrication capabilities include sheet metal, stainless steel, aluminum, galvanized and speciality materials – from light to heavy duty – as well as customized finishing and assembly. 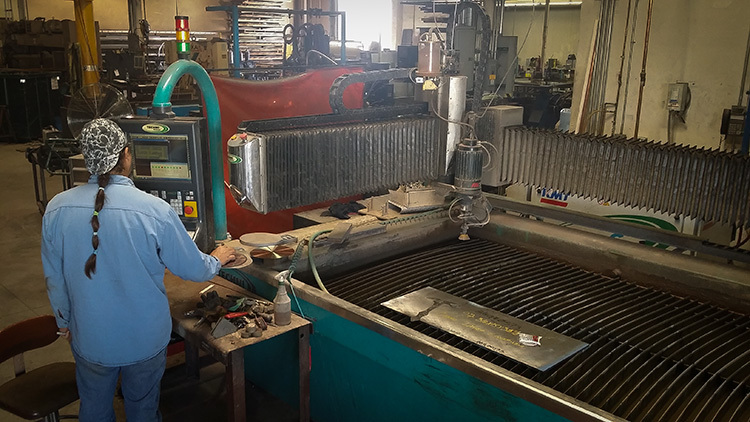 As an experienced custom metal fabricator in Las Vegas, we have the welding and machining expertise to produce your project on-time and on-budget, with the unmatched quality you expect and deserve. Stainless steel food and beverage processing metal equipment and products such as sanitary conveyors, material handling equipment and fuel testing components are some of the many examples of the products and projects we deliver. If you have a need that cannot be achieved with stock solutions, look to A & N Custom Fabrication for the custom metal fabrication services in southern Nevada that can fulfill your vision with uncompromising attention to every detail. A & N Custom Fabrication now offers waterjet cutting services in our Las Vegas facility. Thanks to its flexibility and reliability, No Heat Affected Zone, no secondary finishing, waterjet technology is suitable for both large nesting productions as well as small series and complex specialized applications. Every day, innovative companies are discovering new applications for waterjet cutting, extending their production capacities and increasing their efficiency and profits. Give trust and you’ll get it double in return.